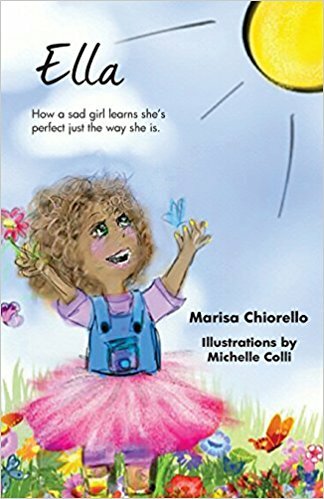 WILL alumna, Marisa Chiorello, presents her first children’s book, “Ella: How A Sad Girl Learns She’s Perfect Just the Way She Is”. Today we recognize WILL alumna, Marisa Chiorello. Her first children’s book, “Ella: How A Sad Girl Learns She’s Perfect Just the Way She Is” was published in August 2017 and is available on Amazon/online at Barnes and Noble. This first book focuses on body image in young girls, and Chiorello plans to venture from children’s books to Young Adult novels in the future.